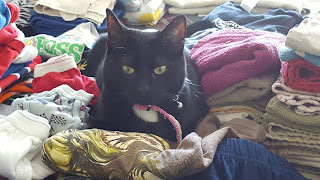 Glenda loves to lay on our clean laundry. Does your cat like to snuggle in the clean laundry? I think cats love the softness of fresh clean clothes and the fresh clean scent.